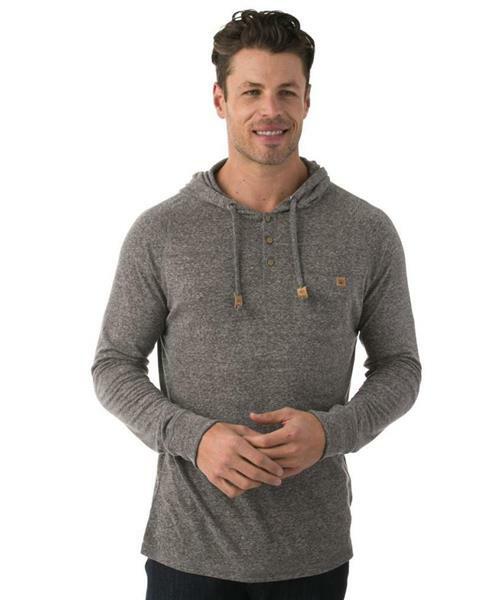 This pullover, hooded shirt is packed with positivity, like coconut buttons, and a branded cork patch. The Henley styled neckline gives a boost of trend, and adds to the versatility. It's all about the details with the Hamilton- made with highly sustainable and highly versatile hemp, blended with recycled polyester. Ten trees are planted in honor of every product sold. Hamilton LS Hooded - Mens is rated 5.0 out of 5 by 1.